With the Fourth of July holiday on Wednesday, the week kinda slipped by me. Thanks to everyone who encouraged me to write the fiction book earlier this week. I'd written one of the stories years ago and have the outline prepared for another. Once everything is finalized on my next book, maybe I will dive into those stories. Actually, I've been a little distracted this week. I bought a new toy! (And paid cash.) 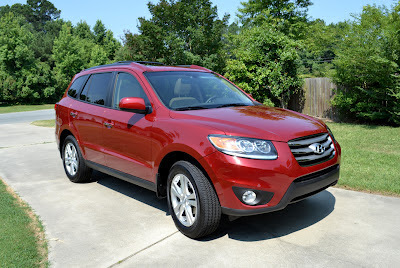 After racking up over 163,000 miles on my little Tribute in just seven years, it was time for a new ride. 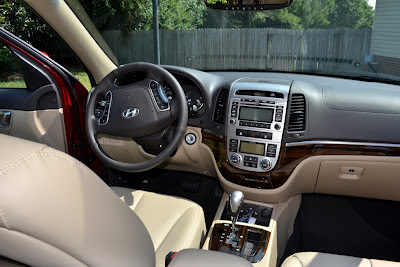 Monday night I came home with a 2012 Hyundai Sante Fe Limited, fully loaded with sunroof, heated seats, and Infinity stereo system. And she is sweet! Very nice!! Sporty...yet economical. You done good! She's a beauty, Diane. Enjoy! Really cute. I plan to go to a crossover when I enter fewer days of soccer mom + kid's stuff. So in like a decade. Love it. Trying to make my current ride last one more year and then I'm down-sizing. Woo woo! Very nice new toy. Enjoy. I know it's wrong to covet but I'm so jealous. Enjoy your new toy. Wonderful! I love new cars, and we haven't had one for a very long time. Love your new toy, hope you have many hours of driving. Thank you, everyone. Sorry I was offline for most of yesterday but I'll visit everyone today. Sweet! And I like the advertisement for your Web site. Enjoy your new toy! Congrats on the gorgeous new car! Woohoo! Wow! Neat car. We bought a 2012 Hyundai Santa Fe recently and love it. It's our second Santa Fe. I like that spectacular car, awesome. Hope you had a great weekend with your toy! L. Daine, that is a sweet ride. I also like the color that you chose. 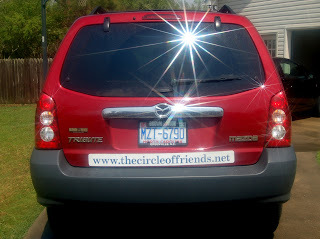 It actually looks good on the Hyundai Santa Fe. 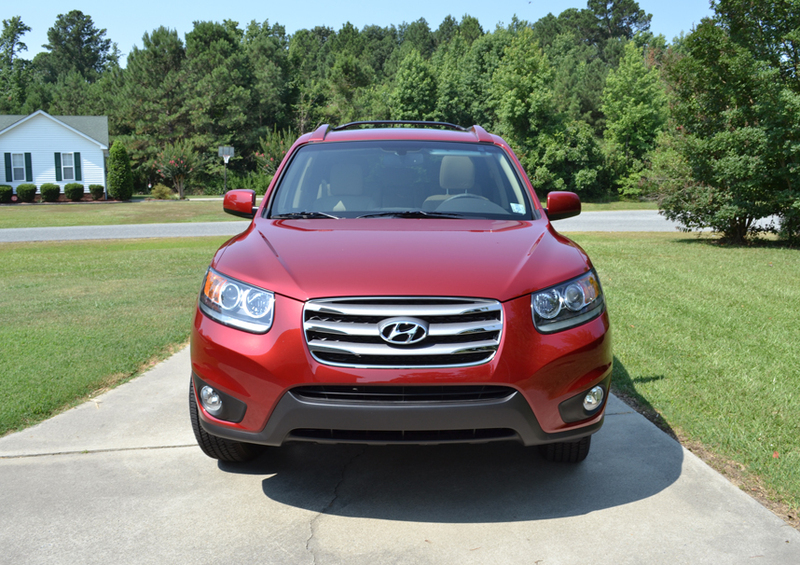 From a Mazda Tribute to the Hyundai Santa Fe – you must be an avid fan of SUVs, aren’t you? Haha. One advantage of the Santa Fe is the strong and efficient V6 engine. The fuel-efficiency of it is nearly the same as a four-cylinder engine, but with the added power and torque.